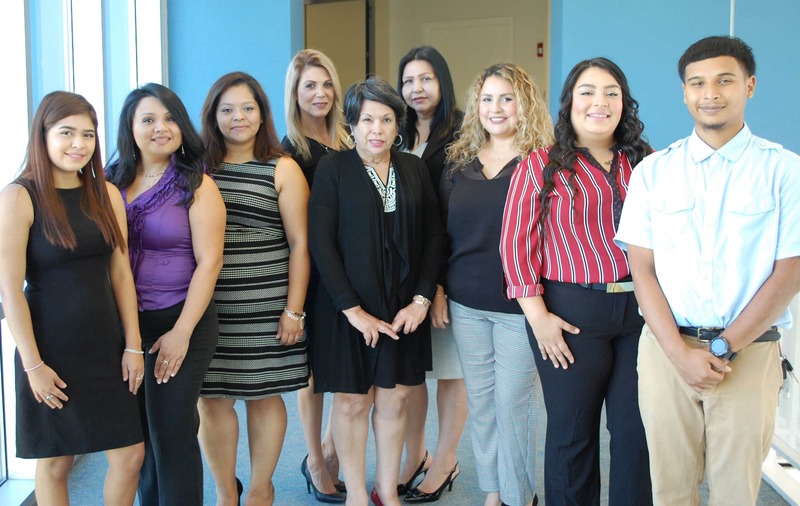 Through AAMA’s adult literacy program, Adelante, adult learners overcome language and other barriers to success. Adelante means “to move forward” and that’s what these courses help students to – move forward to higher education, certificate training programs and better job opportunities. Comprehensive courses and flexible schedules meet the needs of working adults, and AAMA’s Pre-Kindergarten and childcare options make learning a family affair. Classes are offered in multiple locations, with class times to meet varying schedules. Courses are free and are open to adults 18 years of age and older. Next Registration: April 1, 2019 Learn more today! Students improve their ability to read, write, listen and speak the English language through five progressive levels. Students prepare for the four computer-based tests in the areas of Science, Social Studies, Reasoning through Language Arts and Mathematical Reasoning leading to the High School Equivalency (HSE/GED). This 6 week career training course targets individuals who want to launch a career in banking and financial services. Must be legal to work in the U.S. Please contact Patricia Cabrera at (713) 929-2330 to learn more. Each year, more than 1,200 adults attend AAMA Adelante classes and approximately 200 students receive the GED certificate in graduation ceremonies held in February and August. Through these courses, students move forward to better opportunities for themselves and their families. And many, like Yamelith, are inspired to become leaders. Yamelith dropped out of high school in 2010. She didn’t think she’d ever get her diploma.